Looking for a design that will really stand out? 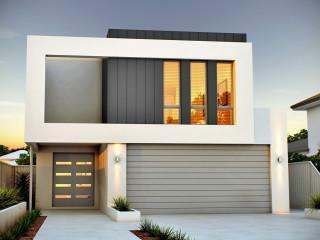 What about this: cubist elevation, skillion roof, mixed materials and a very modern finish. Got your attention? 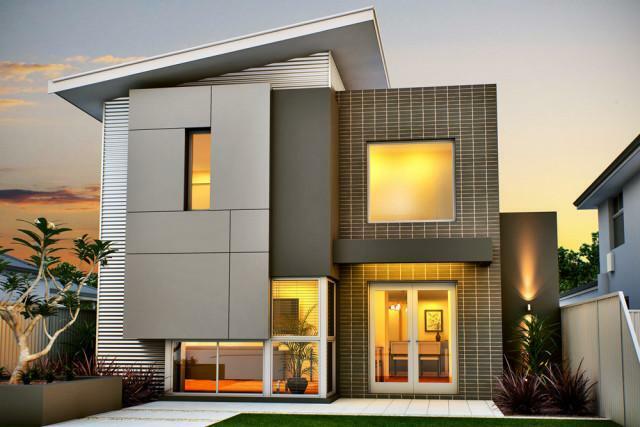 Now think about the clever design of the home that maximises every inch of your narrow lot… Sounds like a dream? It’s not! Contemporary elevation. 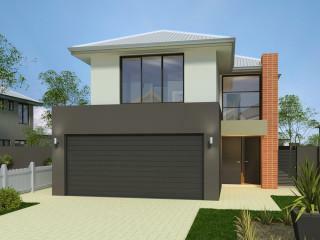 Master suite, office and theatre and open plan living on ground floor with rear access garage. The home has everything you need.